Put these on before a 65 mile sprint enduro this past weekend to replace the oem flag guards on my 350. I got a good test of these handguards in the 2nd special test of the second lap. I was pushing hard and payed the bike over 3 times, 2 were mellow washouts where the front tire just slid out and I, the 3rd was a tank slipper at high speed which ended with the skid plate center punching a rock as I was low siding the bike in a sandy wash. All 3 times the bike landed on its side, twice on the brake side, once on the clutch. This flexed the guards into the lever and handlebars, but when I stood the bike up they went immediately back into place. After the race they still look new and did a good job protecting my hands from roost. Excellent value and product. First ride barely wrecked and broke off so easily. My friend had the acerbis uniko and second ride with them snapped of on a tree. Don’t get these just stick with cycra. Never have I ever had a problem with them. I had gotten other guards, but these were by farthest the easiest to install and look the best with my bike. Had a few good crashes with these and they have good give. Flexible enough to not break and crack. I recommend this product because it is easy to install and has the mounting hardware for either handle bar diameter. Easy install with vents or closed vents. Looks good on the bike plus keeps the air flowing to your hands, kind off doesn’t have that much space on the handle bars for the controls but still good. Great fit on my KTM. Mounts easily clear brake and clutch reservoir which is an issue with other brands. I bought these to replace the stock hand guards on my KTM. The arms on these made it easy to install because KTM XC-W's don't have a lot of handlebar space for flag style guards. Instructions were straight forward. They are pretty flexible so they will probably bend rather than break in a crash. If you want rigid hand guards, these are not it. The bolts holding the guard to its arm worked themselves loose on a ride and the guard fell. So, make sure everything is tightened down during install. Otherwise, these are good handguards. 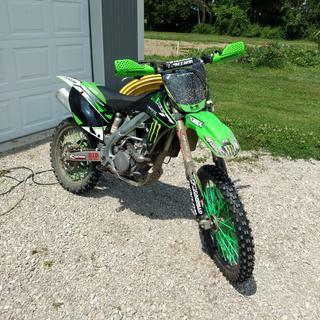 These hand guards fit really well on my bike. The install took less than five minutes and the look really great on the bike! Definitely would recommend to anybody considering a distinct hand guard. Great handguards, they cover your entire hand and grip/levers, with plenty of coverage. These are really easy to install and they look awesome! They are also very strong and sturdy, made of high quality material. The best part about them that they mount behind the brake and clutch resevoirs not so you do not have to move your levers at all! Another bonus is the removable vent guards and the ability to move the guards in or out horizontally. So many colors and they are from a trusted name of acerbis! Awesome product, easy mount, super sturdy and look great! I have hit two trees dead center on both guards, and these things did not break (but my lever did). Thankfully, my hands were only bruised as well, but I was surprised I didn't snap the hand guards at the mounts. 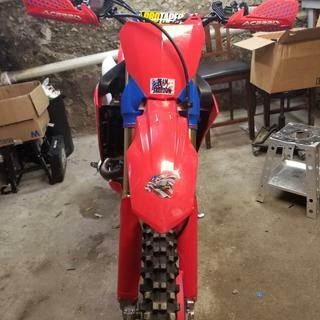 I mounted these on the stock YZ oversized bars, and I had no problems adjusting how far out or in that I wanted the hand guards. Lastly, they do have a removable vent cover that allow more airflow or to block off. Simple, stylish, and they are strong. 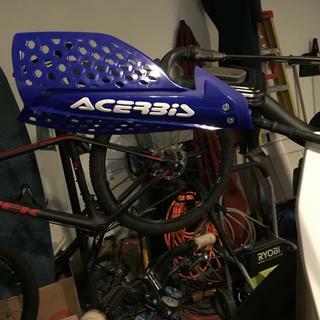 The Acerbis X- Ultimate handguards are superb in my opinion. 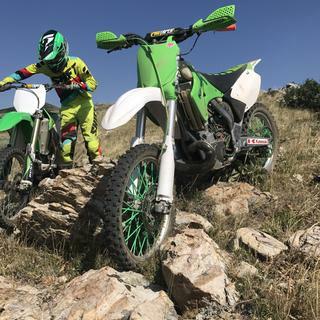 The are simple and easy to install, and the are stronger than the past acerbis handguards. 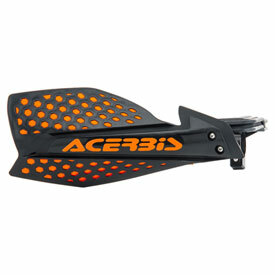 i have ridden with acerbis handguards all the years i have raced and these are the best yet. While these handguards are more of a minimulus approach to the handguard scene, they provide some nice coverage. they flex and bend with you and that's what I wanted... on the other hand, if you are gonna be slamming trees you are gonna want something with a metal frame, like the original acerbis. all in all though you cant beat the look. Durable solid construction. Perfect fit and finish. Takes abuse like a guard should. Solid mount system. Another solid acerbis product. Will they mount on 04 warrior? BEST ANSWER: Yes but you may have to trim off some plastic to clear the front brake master cylinder. I had to on my Raptor 660 no big deal. On the diameter on the bars yes. You just need the space to mount them... do you have an extra 1 1/4” on each side? 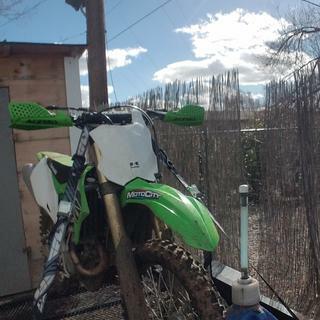 They will only fit dirt bikes. Is it possible to get an aluminum mounting system for these or is it just the plastic ones? Haven't had too much luck with the plastic mounting. 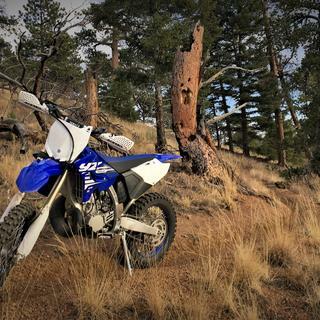 BEST ANSWER: I have them on 3 bikes for single track riding & I like them. All of mine were hard plastic but I used a heat gun & channel locks to bend the mounting bracket how I needed them to fit. We ride with cut down bars so had to tweak them to fit right but they work great for branches & briars. Will these fit on a 2012 ltz 400 with 7/8 bars? BEST ANSWER: They mount to the bar near your levers so will work with either 7/8 bars or oversized tapered bars. will this hand guard work on a renthal twinwall 999? BEST ANSWER: Yes, where you mount the handguards they are 7/8 not the twin wall part of the bar. Will these hand guards fit a 05 ktm 50 pro senior? BEST ANSWER: Because of their size they are for the big bikes (125cc and up) so they would be a little big. The Uniko handguard would fit and look nice on the sx50! Do these come with mounting kits? BEST ANSWER: yes they do, please scroll down on that page, you will see the full description of the product. 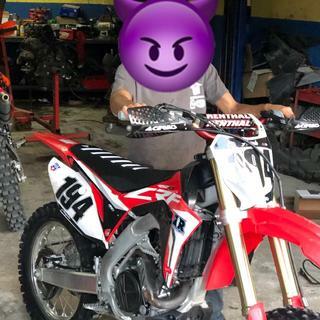 Do these handguards fit 1n1/8 handlebars? 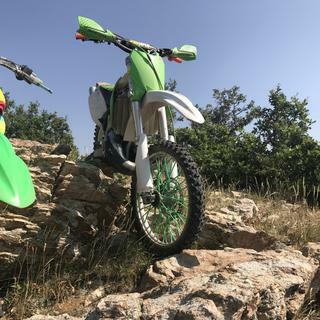 BEST ANSWER: On all MX style (non wrap around) handguards, it is 7/8 inch on the handlebars where they mount. This type of question would apply if asking about a wrap around style handguards. BEST ANSWER: Our handguards are always sold in a set.